Men have buried themselves in a generation long use of the language of modern psychiatry. The idea of a man being mis-led deceived or possessed by a demon or devil seems arcane to the modern mind. Jesus was explicit and made a careful and concise distinction between mental illness and demon possession. “And his fame went throughout all Syria: and they brought unto him all sick people that were taken with divers diseases and torments, and those which were possessed with devils, and those which were lunatic, and those that had the palsy; and he healed them.” (Mt 4: 24) Liberalism scoffs at the idea of a man under the control of a devil, and yet, God’s word says that it is not just one man or a few that are under the sway of demons, but entire nations. Twenty centuries have passed as the gospel is still being preached to all men; within the tenets of the gospel is a promise that by receiving Christ we can rid ourselves of all demonic influence. It is not the path men will choose, they will continue down the broad path until nearly all of them follow the old serpent into the battle of Armageddon. At Christ’s return he deals with the deceiver directly – to wit. Yes, we are ruled by a demon and the master of demons. He is that old serpent, the arch deceiver and the ruler of the cosmos or world system of evil. All those who have not yet given their lives to Christ are and have been under his full influence in every way. This is a thorough and pervasive deception. It is found in the heart of the world’s philosophy, ideologies of all kinds, religions, governance, finance, science, education, jurisprudence and common wisdom of the day. It’s a snare to catch the souls of men and it is terribly effective. There are many deceivers under sway of the great deceiver, but they break down into only two general categories, both are dangerous, but one far more than the other. The first category is the ones that know they are deceiving, they are charlatans, gainsayers, snake oil salesmen, lucre lusting louses that take by any means from any victim they can find. The second category is far more dangerous because they deceive themselves. They are believers in all they say and do, even if they do not have any knowledge of how mistaken or deluded they actually are. They often rise to become the heads of corporations, empires and nations. Entire nations have chosen to follow deceivers like, Nero, Hitler, Mao et al. Nations often choose an ideology such as communism, fascism of socialism and of course that worldwide modern scourge known as liberalism. Telling this to the world is much like asking them to believe in fairies. As men fulfill every prophecy they blindly assign the rock solid prophetic message of the Bible to the realms of fantasy or Hollywood movie material and, at the least, they see it as Christian hyperbole and nonsense. The penchant for uniformitarianism holds them on track as they experiment with unbridled license passing itself off as freedom. Killing the unborn by the millions and leading the living children to perversion, transgenderism and spiritual ignorance of the most basic concept of accountability to God, is the sign that time is shrinking even though they think their world is swelling, unlimited, un-stoppable and racing toward its greatest hour. The deception is pervasive and is diametrically opposite the prophetic message. To the world, the solar system and beyond is to become the playground for technically advanced, shining and sophisticated civilization. The scriptures says, but nay, we are prisoners of the earth (La 3: 34) and it is what we do with the time we have here that brings us into conflict with God, rather than what we do with the space around us. Moderns believe they should scour the heavens for clues about the origins of life while Christians who claim they have the author of life living within them (Jn 14: 6) are considered buffoons. We, the buffoons, are discredited for saying they, the supposed children of baboons, are deluded by science that does not even adhere to its own rules. Espousing the usual ‘seeing is believing’ – today’s scientist ask us to believe things no one ever saw, like the big bang and billions of years of evolution. They would ask us to believe in all the billions of missing links which to date no one has seen. Charles Darwin had a pipe dream and his children are all pipers leading the entire planet to a rude awakening. The deception is enormous, but its signs are simple to discern. Satan’s works are always in opposition to God; his philosophies are always in direct contradiction to God’s truth. Satan would have us to believe that life on earth is a big playground. God says, life on earth is a vast battlefield. The worst part of all this is that the deceived don’t realize that it is not about some silly battle between good and evil but it is about the very souls of men. 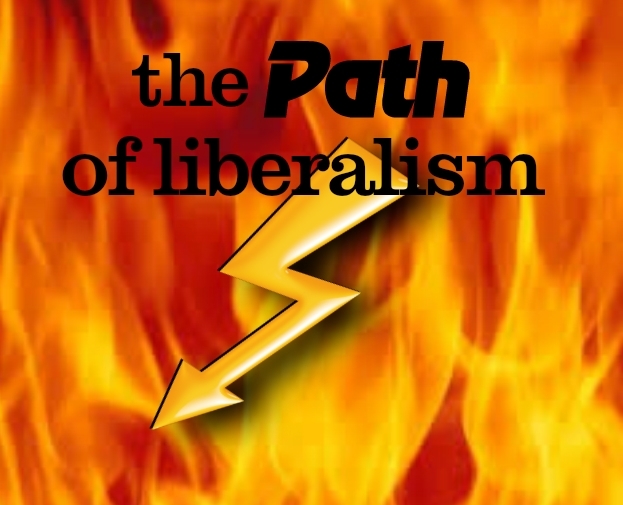 Today’s liberalism is a conglomerate of spiritual ignorance, multi-faceted, and has many names such as socialism, communism, progressivism, atheism, ecumenicism, secularism, Satanism, uniformitarianism, et al. The deceiver uses religion or atheism he is not choosy. He will allow you on the path by whatever mindset that seems to fit your fancy. By any name the deception is ongoing and it will not stop until the old serpent has raked in as many of the unwary as he can – that final number will total in the billions. Those who scoff at the idea of demons being unleashed are also unaware that the great deceiver who sends them to our world is called a father. The spirits he sends may give us pleasure, power, fame, fortune and a thousand more gifts of the flesh, but in the end they inherit the same fate as their father – eternal damnation. They think their daddy will be the benevolent ruler of hell, not knowing that, according to scripture, he is its chief victim. As Father’s Day approaches for this year, we may want to question exactly who we are following and exactly who is our father. The nonsense of the universal brotherhood of man under the universal fatherhood of God is one of the deceiver’s greatest religious lies. In fact, it was to the religious leaders of his day that Christ spoke these terrible words of warning. There are levels and depths of deception issued from the great deceiver, but the third greatest deception of them all is the belief that demons do not exist. The second greatest deception is that demons are not at work in our world, lying and mis-leading entire nations. The first and worst deception is to keep silent the fact that the deceiver has his own children of which you may be one. Seeing Satan as the great liar he is, may seem all just too subjective – that too is a lie. In reality there is a strictly objective side to the biblical revelation. The object of Satan’s lies is to cover a great theft. What he steals is the souls, the future and the salvation of anyone who believes his lies.